Cook onion and garlic in some oil in a dutch oven on med-low, until soft. 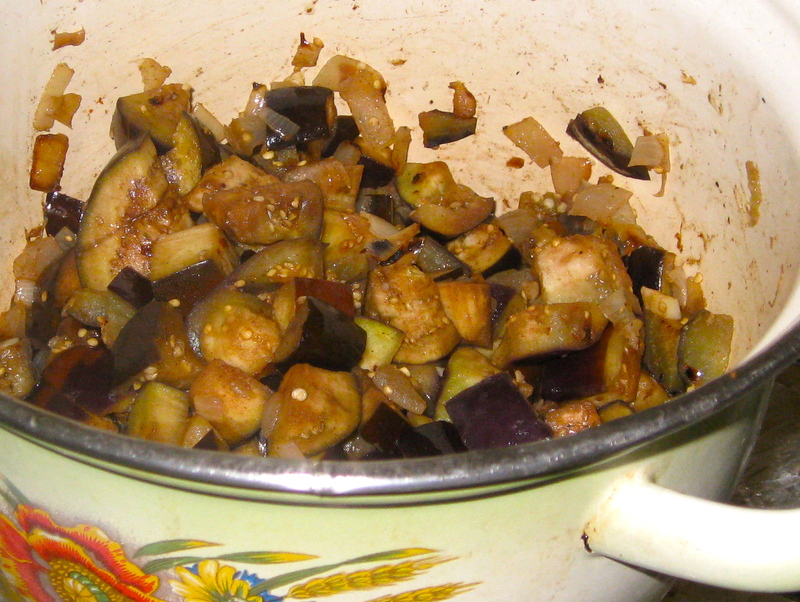 Add eggplant and spices, cooking with the lid partially on and stirring occasionally until eggplant is almost soft. Add tomato and cook a few more minutes until eggplant is soft to your liking (some prefer it firmer, some mushier). 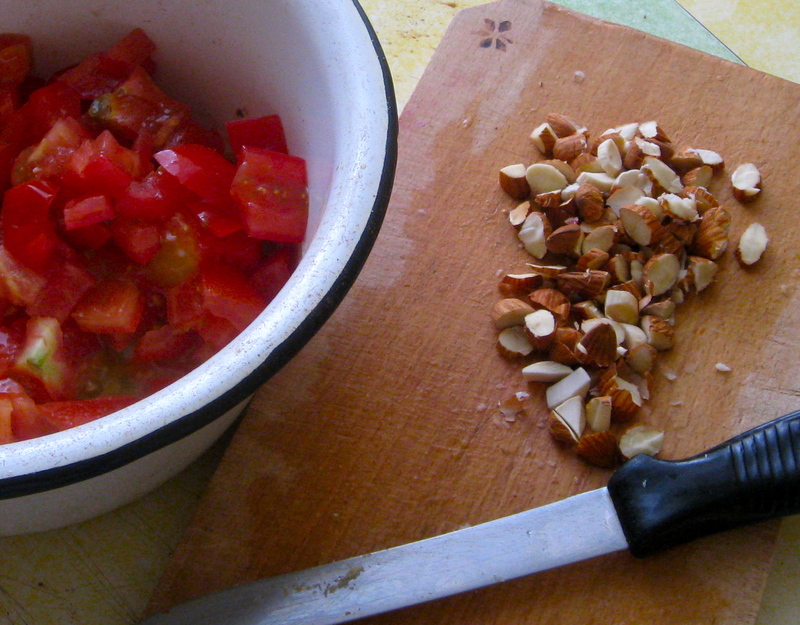 Stir in peanuts or almonds and serve with beans and/or rice to make it a meal. This entry was posted in food, health, recipes on 26.08.2011 by taplatt.